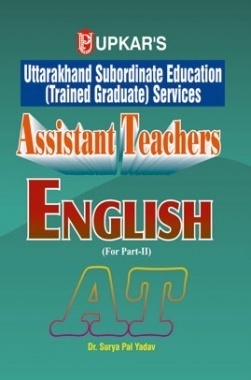 PREFACE WHY USE THIS BOOK This Book has been designed basically to meet the pressing requirements of the candidates going in for Trained Graduate Teacher TGT Recruitment Test in which Objective Tests in English Language and Literature are given. This book, therefore, is indispensable to the candidates planning to take teaching as their profession. In fact, the purpose of this book is not to make candidates self-reliant, but to direct them in self-reliance, not to make their knowledge perfect but to inspire them to reach perfection. The book is most useful for those who aspire for success for these reasons If the book is properly used, it will enhance the curiosity of a candidate to read and digest more and will encourage him to do additional research in the subject. It will not only broaden a candidate s background adequately but also make an arch of experience. The proper use of this book will build up self-confidence in a candidate. He will not only be self-reliant but also have the feel of the intended examination. The clear perception of what is to come and how it is to be handled is half way to success. Before a candidate is caught unawares in the actual examination, he should have the grasp of the entire situation by reading this book. A careful reading of this book will make him psychologically so strong that he could handle any situation to the best of his advantage. A systematic study of this book will focus a candidate s attention on his weaknesses and will lead him to self-diagnosis, which, to a large degree, is the road to success. The discovery of one s weaknesses is the way to self-correction on which the success depends to a major degree. This book tells a candidate what to study and how to study. If he knows what and how he has to study, he will certainly do better in the examination and will come out with beams of success. This book puts a candidate on the road to success. Once he gains momentum, he keeps on going and nearing the goal. HOW TO USE THIS BOOK The value of a book depends not only on its intrinsic merit but also on the way it is used by the candidates. Before a candidate opens the first leaf of this book, he must know how he has to read each chapter and how he has to assimilate the material intended for his intellectual digestion. 4 reads. But reading a night before the examination or cramming the passages will not help him much unless he has regularly and systematically practised the art of reading and comprehending passages. While reading he is required to focus his attention on the passage and the questions set on it. He has to strain and co-ordinate his mind with his eyes. The repeated readings of the passage with a mindful eye on the questions will unlock the levers of unfamiliar expressions and implicit meanings. The questions asked at the end of each passage are designed on the patterns of the tests given in various competitive examinations. The candidate would do well to first understand each question properly before he attempts to find out the answer.